This Valentine’s Day, Love Your Brain and Live the Best Life Possible! Love is in the air. It’s the time of the year when we focus on romance, roses and boxes of chocolate. 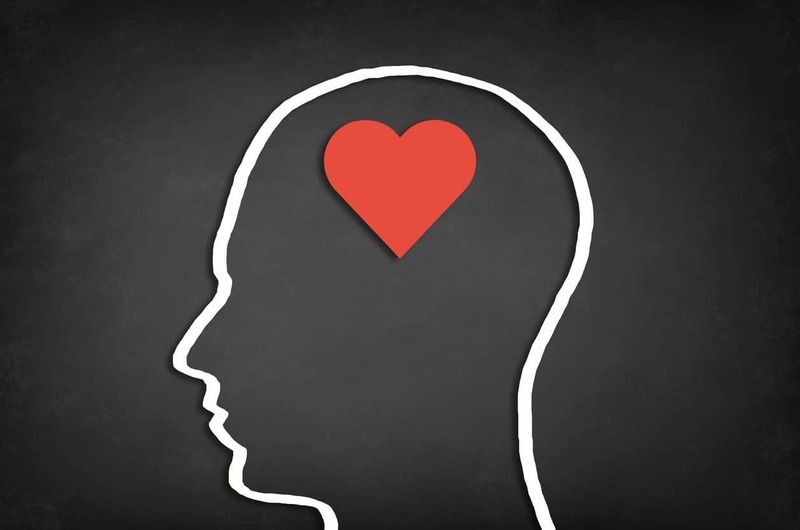 But while lavishing gifts on your significant other, don’t forget to focus on the one thing that has the biggest impact on your relationship…the brain. Anyone who wants their brain to perform optimally should be supplementing their healthy diet with nutrient concentrates. Though food can help promote brain health, numerous surveys show there’s a gap between the foods you eat and the nutrition you need. Just like the rest of the body, the brain needs to be nutritionally supported. It needs vitamins, essential minerals and other nutrients to function properly. 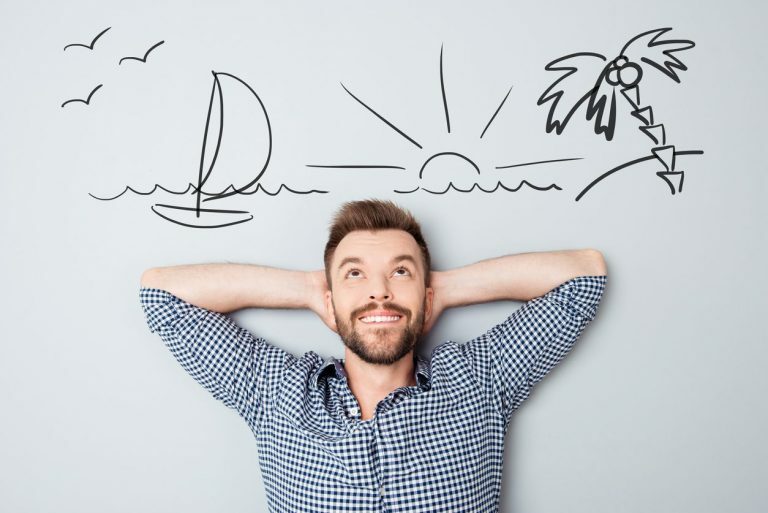 Even adding just a few key brain nutrients – such as vitamin D, vitamin E, or magnesium – into your daily regimen can go a long way toward helping you stay focused and sharp. Physical exercise is perhaps the single most important thing you can do to keep your brain healthy. Exercise often increases levels of dopamine to produce a natural high, and can boost blood flow to deliver oxygen and other positive nutrients to the brain. 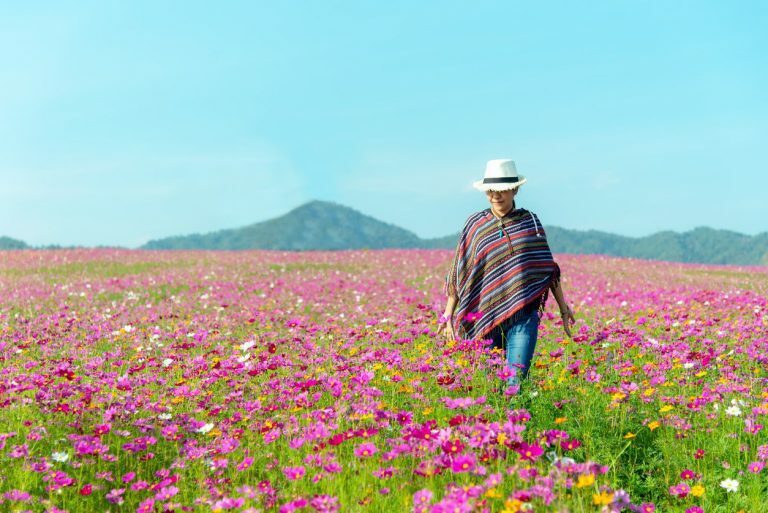 Physical activity can also promote a messenger substance called BDNF (brain-derived neurotrophic factor), a type of growth factor that helps the brain put new nerve cells to work and can assist in self-regulating mood, attitude, and focus. To support your memory circuits, help maintain an even mood and sense of mind-body balance, establish a daily exercise routine that’s rigorous and enjoyable. Practicing yoga and getting massages can do more than just improve your physical function. Clinical studies indicate that both are beneficial for supporting mood and coping with stress. Massages can lower the stress hormone cortisol while increasing the neurotransmitters dopamine and serotonin. Yoga can increase brain GABA, reduce anxious feelings and improve overall mood. Proper nutrition is essential to peak brain function. Taking care of your brain is much easier when you eat the right foods and consume proper amounts of vitamins and other nutrients to support your heart, brain and muscles. Make sure to eat foods packed with the nutrients your body needs and can effectively digest and absorb. A healthy diet includes lean protein, berries and other fruits, vegetables, nuts, healthy monounsaturated fats like olive oil, and omega-3 sources such as cold-water fish. It’s recommended that you eat 9 servings of fruits and vegetables every day. Deep inside your brain, your pleasure centers respond to several neurotransmitters, particularly dopamine. When dopamine is depleted, low motivation and mood are common. Increase your dopamine naturally by engaging in meaningful and beneficial activities on a regular basis. Do work that you enjoy and take time to have fun with your loved ones. It’s equally important to avoid wearing out your pleasure centers with substance abuse, gambling, video games, and compulsive eating or shopping. It’s no surprise that listening to music can increase pleasurable feelings, boost energy, raise dopamine levels and help with focus and concentration. Remaining in a relaxed state of mind is easier to accomplish when you have a happy tune running through your head. Be sure to listen to brain enhancing music specifically composed to elevate mood, gratitude, motivation, and inspiration. One of the best ways to love your brain and body is to take high-potency dietary supplements that can help fill the gap created by a modern diet consisting of many unhealthy and processed foods. Without the full array of vitamins, essential minerals, and other nutrients, you may find it more difficult to engage in activities and manage daily routines. To prevent periods of low energy, mood, and memory issues, always remember to take your supplements. Brain & Body Power is a superior supplement system that was designed for essential everyday performance. It’s a powerful daily regimen of 3 essential supplements for brain, memory, and body health. Plus, you’ll save up to $50 compared to buying them all individually! This powerful combination of 50 vitamins, minerals and plant extracts (all in their most active forms for optimal bioavailability) is foundational to any supplement regimen. For safety purposes, NeuroVite Plus doesn’t contain iron. If your physician recommends iron, it should be taken as a separate supplement. Omega-3 Power is unique for its purity and potency. Made from sustainably harvested fish, it provides a generous omega-3 allowance to give your brain maximum benefit. Its natural EPA and DHA triglycerides are screened for 250 potential contaminants to ensure maximum purity. 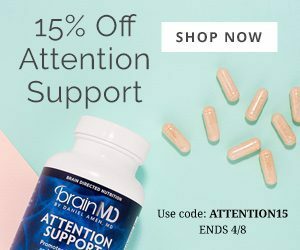 Our bestselling, brain-boosting formula provides potent, conditionally essential nutrients and standardized herbal ingredients to support the brain’s energy, connectivity, and memory performance. 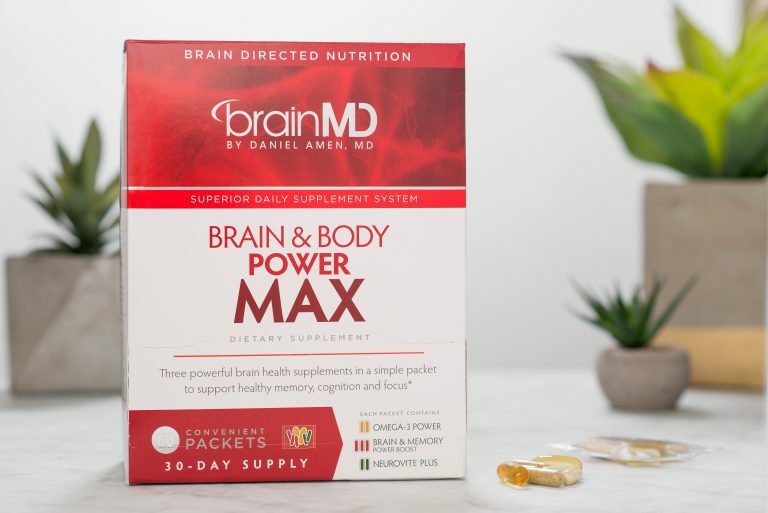 Brain and Body Power Max is recommended for those who are interested in a truly powerful dietary supplement system that gives added memory support. Its packets provide clinically significant levels of vitamins, minerals, omega-3s, herbal extracts and other neuro-nutrients. Besides its generous allowances of vitamins, essential minerals and other nutrients, NeuroVite Plus is the only source of Dr. Daniel Amen’s proprietary Brain Boosting Blend. A healthy brain, heart and body requires plenty of omega-3s to operate at peak performance, and Max gives you higher potency and purity with its double dose of Omega-3 Power. A surefire way to raise your Omega-3 Index and brain power as well. 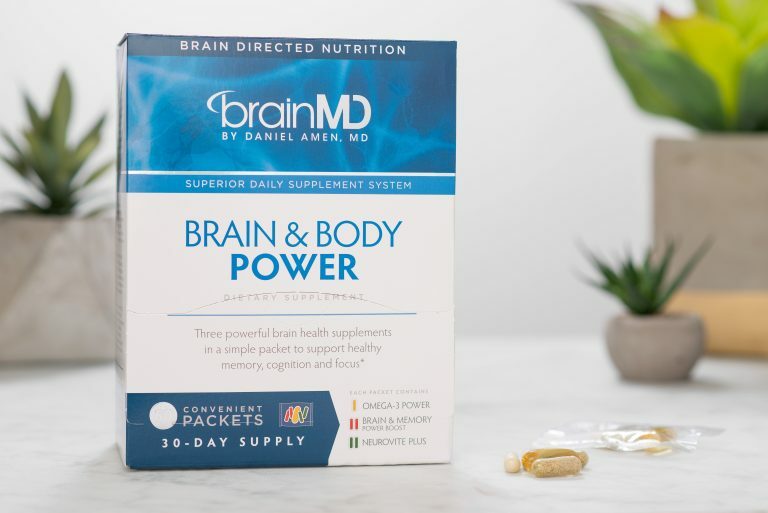 For more information about Brain and Body Power, Brain and Body Power Max and our full catalog of brain healthy supplements, visit the online store at BrainMD.